As an American cannabis player, MJardin Group Inc. is a rare breed. Not only has the Denver-based company entered Canada with plans to build pot production facilities across the country, but it is doing so by tapping an underutilized resource - the First Nations community. MJardin pledged about US$100 million to build a series of cannabis facilities in three First Nations communities that will create hundreds of jobs while kickstarting the development that some Indigenous chiefs hope will lead to a sustainable and profitable business in the fast-growing pot industry. "Cannabis is the new buffalo," said Rishi Gautam, chief executive officer of MJardin, in a phone interview with BNN Bloomberg. "This is a very thoughtful approach and we’re going the extra mile to make sure this isn't just another production facility." BNN Bloomberg's Amanda Lang discusses the host of unknowns First Nations are grappling with as the marijuana legalization looms. Although Canadian cannabis legislation regulates how pot can be produced and sold in this country, First Nations argue they are exempt for those laws given the existing rights they already have over traditional lands. But despite the potential legal loophole, investment in the First Nations' cannabis industry has been minimal - aside from some retail partnerships with National Access Cannabis Corp. in Manitoba - making MJardin the biggest investor in that market segment. Gautam said partnering with First Nations allows MJardin to uniquely position itself in the Canadian market by establishing production and retail operations in high-traffic areas that are often overlooked for development. “How many licensed producers have a dispensary next door to a casino?,” he said. Last week, MJardin announced it completed a partnership with Rama First Nations, a community about one hour north of Toronto, where it will build a cannabis production, extraction, and retail facility. 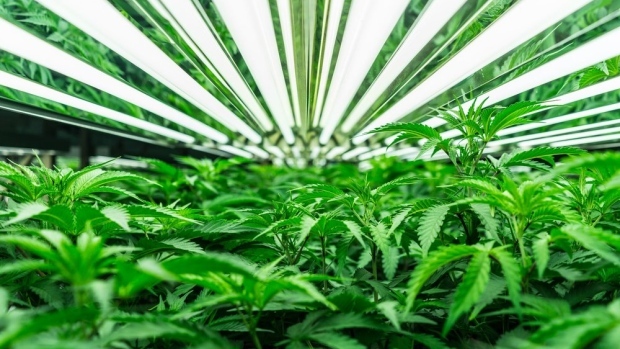 The facility will complement MJardin’s other Canadian operations: a cultivation facility in Brampton, Ont., and a 50 per cent stake in a cultivation and extraction facility in Lower Sackville, NS. "Cannabis is an exciting and emerging market, with opportunities for training, employment, and revenue, providing the potential for long-term sustainable growth in this industry," said Rodney Noganosh, chief of the Rama First Nations, in an emailed statement to BNN Bloomberg. "Like our success in the [gambling] industry in Ontario in the early nineties, we look forward to learning and growing with this new industry." The joint venture is the culmination of nearly two years of work by MJardin executives who scoured the country looking for First Nations groups to partner with, Gautam said. To make inroads with the First Nations, MJardin linked up with Bridging Finance, a privately-held firm that specializes in providing alternative financing for Indigenous communities. David Sharpe, the chief executive officer of Bridging Finance, said MJardin executives took the time to understand First Nations cultures and protocols such as speaking with not just the chief, but elders as well, when making their investment pitch. With the Rama deal, MJardin edged out a similar offer from Canopy Growth Corp. by promising to train local unskilled community members in its internal "university program" with the expectation they will eventually manage the entire operations, Gautam said. As legalization day for recreational cannabis looms, Canada's First Nations have been largely left behind. Lacking clear rules for how pot can be sold on Indigenous land, some First Nations are writing their own rules. BNN Bloomberg’s Jameson Berkow reports from Alderville, Ont. on that community's efforts to create an Indigenous cannabis industry with or without government approval. The company also established an advisory committee to include First Nations leaders to ensure its strategy isn’t just commercially sound but also culturally aligned with the community. “Canopy didn’t take the time to understand the culture and the values and what made them tick," Gautam said. "[Rama community members] also went to our facilities in the U.S., they saw what we produced and we were showing them [yield] projections that were double of Canopy." Caitlin O'Hara, a Canopy Growth spokesperson, said in an email to BNN Bloomberg that as the company grows its business, it participates in a number of ongoing discussions with a variety of individuals and groups. “During these discussions, it is our top priority to conduct ourselves with professionalism and integrity. As a publicly-traded company, it is important that we do so in a manner that respects our shareholders and potential future partners by not speaking publicly until an agreement is finalized,” O’Hara said. Going forward, Gautam said MJardin also has deals with all 13 Mi'kmaq First Nations in Nova Scotia for a cannabis cultivation and retail facility as well as a similar arrangement with Peguis First Nation, the largest First Nation in Manitoba. "We are a profitable business for sure, but we’re also aware of the underserved nature of the members of this First Nations community. We hope to touch as many numbers as possible," Gautam said.